There are tens of thousands of lone workers in the security industry in the UK. Many of them don’t even realise they fall into that category. Mathew Colley, LONEALERT’s Sales & Marketing Manager, discusses how vital it is that lone workers in the industry are identified and suitably protected. Picture the scene. Security officer Mike is preparing to carry out the first evening patrol of the sprawling building he is paid to keep safe overnight and at weekends long after the busy day shift has clocked off. He is one of a three-strong team responsible for maintaining the security of the vast building, as well as a large car park, associated estate and a separate annexe building that is used for storage and rest facilities for staff during the day. Armed only with his torch and mobile phone, he leaves his colleagues in the main building and sets off on his rounds, starting with the annexe. He sets the alarm and phones his co-workers to confirm the coast is clear and informs them that he is planning to nip to a nearby takeaway to pick up dinner once his patrol of the entire site is complete. Allowing an hour for the patrol and another 50 mins for a food break, they are not expecting him back in the main building for around two hours. Following his brief phone call, Mike starts feeling unwell and he sits down in the annexe to recharge his batteries. Two hours pass and Mike’s colleagues start to worry that there has been no sign of him or any further phone updates. One sets off to find him, concerned that he may have been injured on his rounds. But with so much space to cover and no clue of his location, it takes more than half an hour before he finds Mike slumped in the annexe. He has had a reaction to his prescription medicine and requires medial attention fast. Mike’s colleague calls 999 and he finally gets the help he needs. But, with no official lone worker policies in place, what would have happened if Mike’s co-workers hadn’t been so alert and realised he hadn’t returned from his rounds? This scenario is fiction. But it is a scene that could easily play out every day up and down the country until employees have a better understanding of the fact that they are indeed lone workers – and employers face up to their responsibility of fully protecting them by implementing effective lone worker procedures and solutions. It is a common myth to think that the term ‘lone worker’ simply refers to people who work completely alone. Although thousands of people do indeed fall into this category, the term ‘lone worker’ actually refers to a much broader spectrum of people – including anyone who works remotely or feels vulnerable in their work – many of whom who probably don’t even know that they are lone workers. The HSE defines a lone worker as “those who work by themselves without close or direct supervision”, with an estimated 8 million people now classed as lone workers in the UK alone. Lone workers have many faces, in many industries. It is the window cleaner working 10 storeys high. It is the social worker out visiting strangers’ homes. It is the nurse manning a busy A&E on a Friday night. It is the scientist locked in a coded laboratory surrounded by chemicals. It is the shop worker walking to her car after a night shift. It is the driver travelling the country in charge of a lorry-load worth tens of thousands of pounds. It is the factory worker negotiating rows of shelves stocked with heavy pallets in a forklift truck. It is the security guard patrolling the third floor of the office block after lights-out whilst his colleague stays on reception. They all have a right to go back home to the comfort of their homes and families after the working day or night is done. As it is an employer’s duty to ensure a safe working environment for staff, the responsibility ultimately falls to each employer to take adequate measures to prevent physical abuse and injury to employees. Failure to uphold an employer’s Duty of Care can result in hefty fines, prosecution or, at worst, tragedy. Although lone working does not in itself contravene the law, it does bring with it additional risks. Under the Health and Safety at Work Act 1974 and the Management of Health and Safety at Work Regulations 1999, employers have a legal duty to assess all risks to health and safety, including the risks of lone working. Currently, there is no specific legislation relating to lone working – but, due to increasing national press coverage about the issue, employers are becoming more and more aware that it is their responsibility to provide a duty of care for their staff or face the consequences of a hefty fine, damaged reputation – or even tragedy – should the worst happen with no effective lone working policy in place. In 2014 security company, Anchor Services, was fined £20,000 after security guard Arthur Ebirim was killed by carbon monoxide fumes from a petrol generator as he kept a night-time watch over a disused nursing home in Taunton Bale whilst in 2016 two security companies were fined after security guard Javaid Iqbal died after lighting barbecue coals in a wheelbarrow in the site office in a desperate bid to stay warm after the generator failed in sub-zero temperatures. A court heard he had called both of his employers, who were hundreds of miles away, to tell them he was cold but had not been given meaningful help. He had not been given any warm clothing, despite being required to patrol the site throughout the night. In the current climate, it is now more important than ever that the security companies provide sufficient protection for its employees – including implementing suitable lone working policies and procedures that are backed up with proper communication to all staff and regular training. The issue of lone working in the UK is one that is continuing its assault on public consciousness due to a number of high profile cases, such as the Ladbrokes worker alone in a betting shop who was murdered by an angry customer or the threat of Euro Star workers striking after a member of staff was allegedly threatened with disciplinary action for refusing to work alone. But, whilst positive strides are undoubtedly being made, there are still many professions still failing to fully identify the many lone workers among them, including the security industry, and therefore failing to adequately protect them from harm. 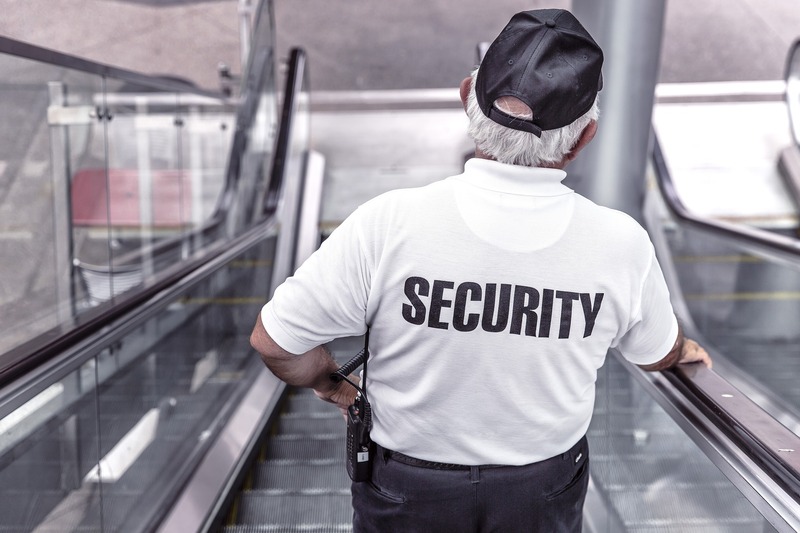 Security guards face various risks as they carry out their duties, whether it be working during unsociable hours and periods of low contact with peers, the risks of intruders, aggressive or intoxicated members of the public, or periods of time working in unspecified locations. It is vital that they feel they are fully protected should the worst happen and they need help quickly. Thanks to advances in technology, there are now a vast range of lone worker protection devices and solutions available to protect those working in the industry that can be tailored to best support individuals in their roles and are suitable for all budgets. For someone like Mike, for example, a ManDown device with hi-tech locating technology that immediately detects a fall and raises an alarm to a 24/7 Alarm Receiving Centre could have been the key to getting him help immediately. For those in charge of night shifts at a 24-hour supermarket or petrol station, for example, an ID Card that discreetly disguises a panic alarm within an identification badge holder and a ripcord that immediately calls for help should an attacker rip it from the security guard’s neck, could prove a life-saver in times of urgent need. For the security officers patrolling sites off the beaten track with little or no mobile signal would benefit from an Anywhere device that features multiple locating technologies to ensure suitable help can be sent to an exact location should the worst happen. Of course, there’s no point implementing lone worker protection without adequate response procedures in place. Take our story of Mike. The team in the Monitoring Centre dismissed his missed ‘check in’ call as an oversight and failed to follow up on the situation, meaning he was left without aid for hours. It is not hard to see how an example like this could end in tragedy. This is why there are a number of responses available that can all be mixed and matched to best suit each worker. Some companies do indeed choose to rely on employees as the first line of defence, but a failed ‘check in’ call could not be simply ignored as it would keep escalating along a pre-designated line of staff before the lone worker is sent help. Other companies may choose to make use of their own designated Control Rooms working in conjunction with all lone worker devices, or a dedicated 24/7 Alarm Receiving Centre manned with experts who can judge the situation and send suitable help, including Emergency Services if required. In days gone by, any mention of ‘health and safety in the workplace’ is likely to have been met with an obligatory rolling of the eyes and visions of office buildings, construction sites and employee brochures littered with warnings not to smoke near flammable gas cylinders or eat next to toxic waste containers. But health and safety at work is not about insulting workers’ intelligence with endless rules or keeping a 24-hour track of their movements. It is about the very real need to keep them safe whilst they do their jobs. Every worker has that right – whatever their title or pay grade. National coverage surrounding lone working really brings home the importance of talking about the issue and identifying if enough really is being done by companies and organisations – however large or small – to keep every member of staff safe. As a security officer do you feel that your company has adequate policies in place to protect you whilst working alone? If not, it’s time to demand action. Failing to do can have tragic consequences – and going to work should never be about life or death. LONEALERT is one of the UK’s leading providers of lone worker protection solutions, delivering a range of lone worker alarms, devices, apps and solutions to protect people who work alone, remotely or are vulnerable in their work. The LONEALERT range is a unique, comprehensive suite of products that uses complex patented technology and software, written by its parent company, Birmingham based Advance IT Group, to help protect people working alone. Its lone worker solutions include a simple text format, Smartphone app, a Man Down device which automatically detects falls, a Man Down Plus device, or an Anywhere device ideal for remote locations that works via satellite without needing a mobile phone signal. Most provide Global GPS locations. The fact that LONEALERT’s software is written in-house enables it to continually evolve, meaning existing devices can be updated with the latest technology to offer workers the best protection. For example, its enviable range of smartphone Apps have recently been fully re-engineered with enhanced user interfaces, integrated help screens, in-App panic alarms and common screen settings to aid seamless use across all smartphone platforms for both new and existing customers. Its unique platform – the behind-the-scenes workings of LONEALERT – enables every organisation from every industry to benefit from entirely tailor-made lone working procedures, using whichever lone worker solution best suits them – or even a mixture of them all. LoneALERT operates a dedicated 24/7 response centre that can immediately send help or emergency assistance should a worker need it, whilst its devices will escalate pre-determined procedures within companies should customers choose to monitor lone workers themselves. The technology used in all of LONEALERT’s devices and lone worker solutions is extremely complex to ensure the best possible protection for workers – but the best bit is that all of its solutions are incredibly easy to use for the worker, meaning they can get on with their jobs without hassle, safe in the knowledge that, should the worst happen, help is on hand. 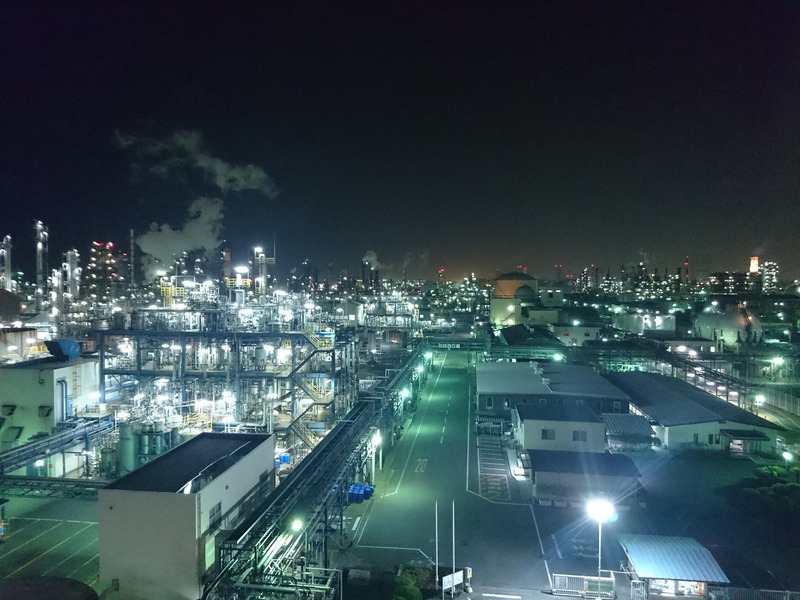 As well as its ever-evolving range of devices and apps that can be used to provide tailor-made lone worker solutions for workers from every industry, LONEALERT also prides itself on top quality customer service. LONEALERT ensures all companies are given the best training to implement its lone worker solutions and regular support throughout their contracts. LONEALERT’s Customer Support & Training Manager, Val Clarke, has recently been awarded the national CIPD Learning & Development Certificate Level 3, meaning customers can be sure their staff are receiving only the best training to successfully implement lone working procedures.